Enjoy fabulous food and drink in unique settings. Get to know the museums preserving local history and heritage. Learn how you can support places that make our region wonderfully unique. 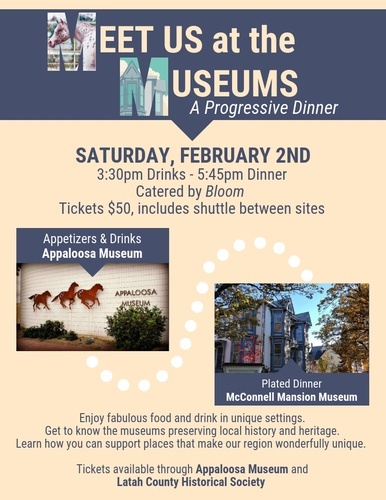 Start with appetizers and drinks at the Appaloosa Museum, then take a shuttle to the McConnell Mansion Museum for dinner, all catered by Bloom. Available through Appaloosa Museum and Latah County Historical Society.